I feel like I’ve been writing about travel gadgets too much, but this is an organic blog with original posts about whatever travel, coffee, and good living things come to me. So if I happen across a gadget to share, so be it – and just wait until you see this gadget! 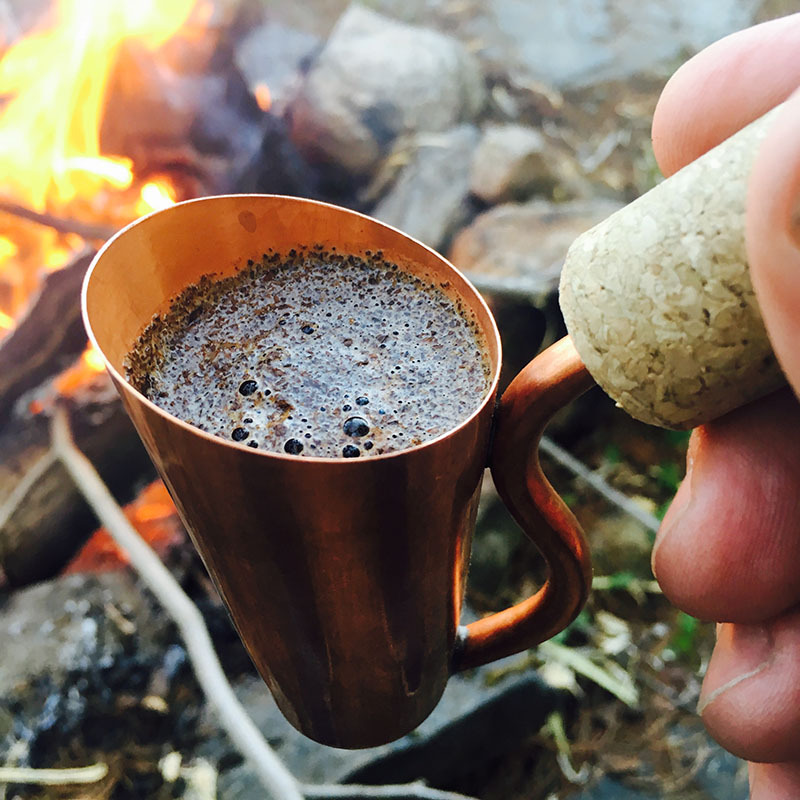 For my fellow coffee-loving trekkers, may I introduce the Bripe Coffee Brew Pipe! 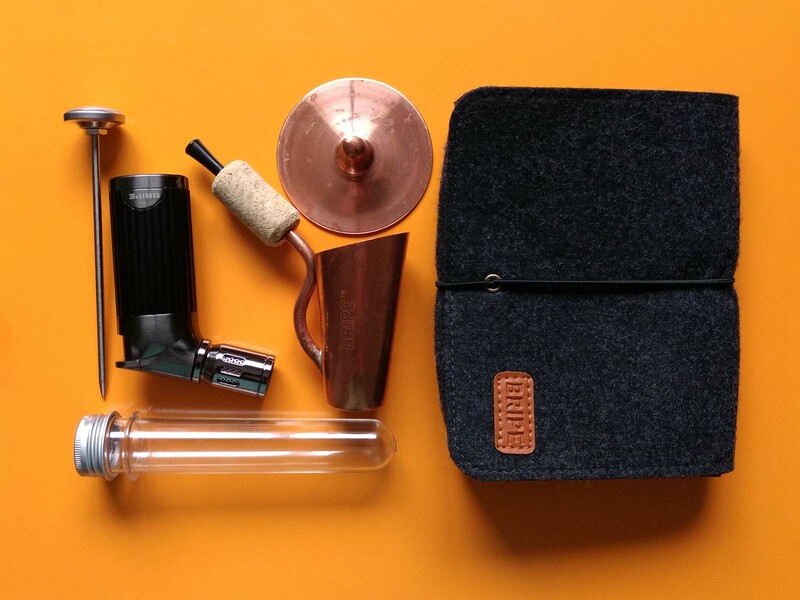 This shot brewing kit weighs less than 12 ounces and is a gorgeous creation. I mean, just look at this gorgeous copper coffee pipe! According to their website, the Bripe kit delivers a shot of perfectly brewed coffee in 3 minutes. The set-up includes a butane torch to head the pipe, which hold the water and coffee grounds. You get an included thermometer to ensure the proper heat. Once you’ve brewed your shot of magic, enjoy it through the filter-straw! Not only is this a really great gadget, the owners seem like good guys who give back. Check out their story here. Using this seems pretty straightforward. You drop in the filter, add your coffee, add water, then stir. Then you heat the bottom of the pipe with the butane torch for the alloted time and let it cool. Finally, add sugar or cream, then blow some bubbles (not sure why) and start sipping through the pipe stem. Oh, for my tea-drinking readers, you can use your Bripe to make tea! This is such an elegant solution, don’t you think? I can totally see myself stumbling out of my tent on a frosty autumn morning, somewhere with glorious fall color. Stuffing my feet into boots, rousing the dog and then, making some Bripe-y coffee. Heaven! What do you think? Is a Bripe in your future? Let me know in the comments and thanks for visting JavaAndJunket.com! How To Make Your Coach Experience A Little More Luxe! Totally sweet! I just got one, and I love it. Matt, thanks for stopping by! You will have to report back on the long-term use. It looks so intriguing, I’ve added to my Christmas gift wishlist!